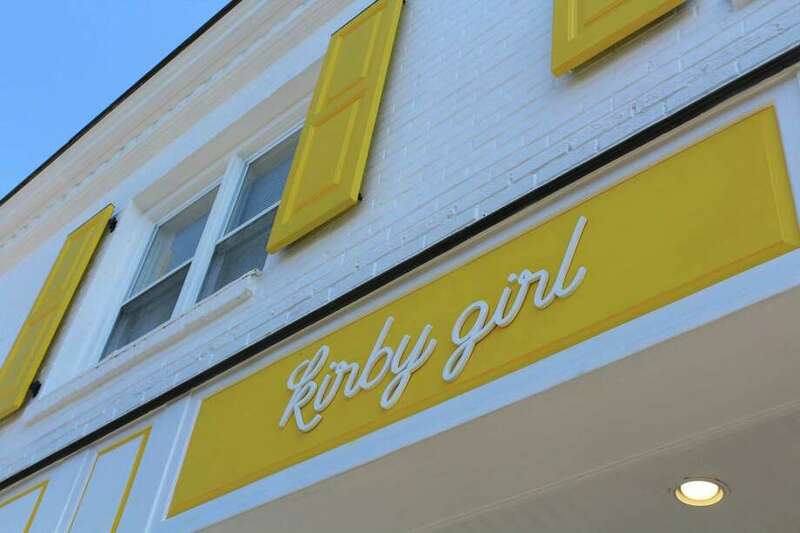 Kirby Girl is at 14 Brooks St. and will open this weekend. DARIEN — A yellow messenger bike hangs from the ceiling. A 6-foot gumball machine stands in the corner. An assortment of colors widens the eyes and pop music plays quietly in the background. This is the sister shop and “more youthful” version of Kirby and Company — Kirby Girl, at 14 Brooks St. — opened Thursday. Elaine Kirby, a Darien resident, founded the shop Kirby and Company in December 2014. While the shop appealed to anyone who searched for boutique decor and other adornments, she believed the town needed something for a younger group of residents. “I saw this void in Darien for this age bracket (ages 10-25) and I wanted for them to be able to find a place to decorate their rooms and having affordable versions of things,” Kirby said. Kirby worked as a designer at the Juliska Design Shop in Stamford for 12 years before deciding to open her first enterprise at 1029 Post Road. “The idea is to appeal to girls who are in middle school decorating their lockers to girls going to their first apartment after they leave college,” Kirby said. It took a year to bring the idea to reality at 14 Brooks St. Finding a location, renovating it, and getting approval from the Planning and Zoning Commission for its yellow-and-white facade was a constant effort. Susan Curry, store manager at the new shop, was setting up last-minute details by the cash register Tuesday morning. Kerry Maloney and Andrea Halverson have worked at the parent shop, which is around the block. “I think this shop is much more youthful. It’s a happy and uplifting place and girls will be thrilled to come here,” Halverson said. Maloney works in sales at the Kirby Company and said Kirby Girl would be joining the Darien Chamber of Commerce as a new member. “I’ve been with Kirby since it opened, and this new shop is going to be a whole new thing going forward,” Maloney said. As to content, Kirby is confident her two daughters, ages 9 and 13, will keep her busy. “I have two very opinionated experts and this is an age bracket that loves to change their mind constantly,” Kirby said. Though the store has “girl” in it, Kirby said it is a genderless store. “There are men who can also find something in this assortment for them,” she said.